BA, MA, MSc, Masters, Dip, PgDip, Cert. Piero Dell’Anno is an experienced Clinical Psychotherapist, who has gained sound experience working both for the NHS and in private practice. During the past 25 years, Piero has worked as a clinical psychotherapist, psychotherapeutic counsellor, education expert, leadership coach, senior social researcher and university lecturer. During the past 10 years, he has fully committed to clinical practice, working for charities, public mental health services in primary and tertiary care and in private practice. Piero’s commitment to lifelong learning underpins his excellence in clinical practice. Piero’s knowledge, wealth of experience and readiness to listen in a non-judgmental way enable him to support clients in overcoming issues such as depression, anxiety, panic attacks, trauma including childhood and developmental trauma, eating difficulties, fears and phobias, loss and bereavement, anger, low self-esteem, sexual and gender identity issues and couple issues, such as fidelity and betrayal, divorce, sexless relationships and abuse. Piero is also an expert in supporting people with developmental/attachment trauma which affects their meaningful relationships with others. Piero uses a range of therapeutic methods, including Relational Gestalt, Counselling for Depression (CfD), Compassion Focused Therapy (CFT), Integrative Psychotherapy and Couple Therapy for Depression (CTfD). He draws on a number of different approaches including humanism and mindfulness. His colleagues describe Piero as committed to improving the lives of his clients, with high ethical standards. He is recognised as providing a range of efficient psychological interventions, and receives excellent feedback from his clients. 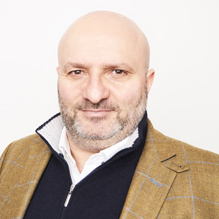 Clinical Partners are delighted to welcome Piero Dell’Anno to their established London team. You don't need a GP referral to see Piero Dell'Anno.